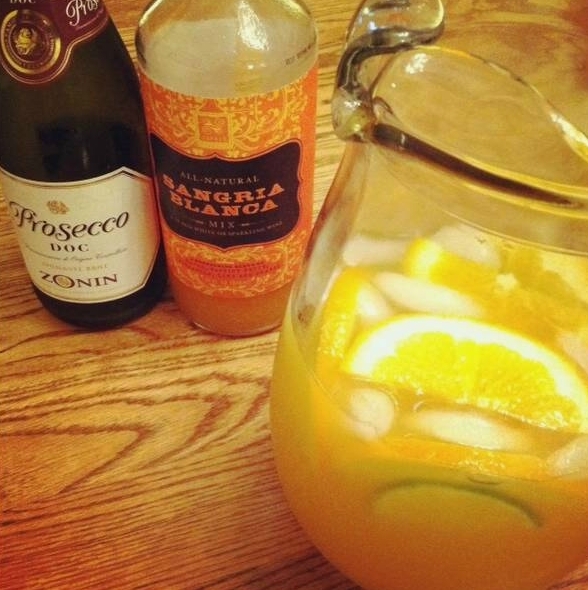 My sister found a tangy and sweet Mango Sangria Mix at Williams-Sonoma! It only requires adding sparkling wine to the mix that turns it into a fizzy, tropical, refreshing drink. 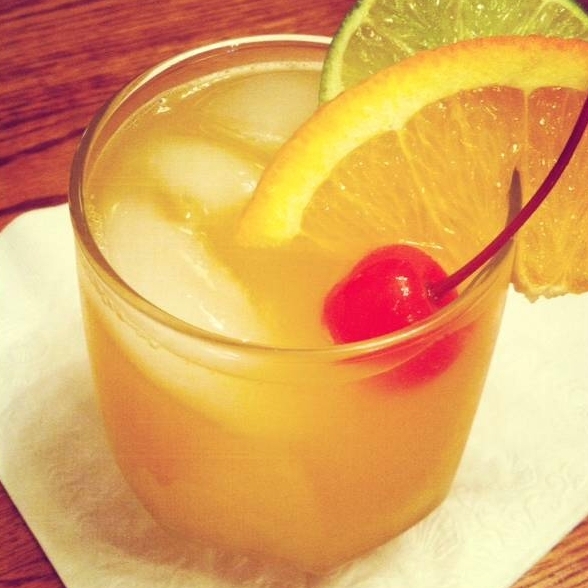 I finished it off by adding in fresh slices of oranges and lime to enhance the citrus flavors from the mix. After tasting this, I might never go back to traditional sangrias, again! In a pitcher filled with ice, mix together 2 cups chilled sangria mix with 1/2 bottle chilled Sparkling Wine (or Prosecco). Throw in some slices of oranges and lime and stir. Serve and drink!